I have been trying to spit something out for a couple of years now, and still, am not able to cough up the correct words. This is an idiosyncrasy of mine; I will dwell on problems for years. I do not share my problems with others, that is not true, I try my best to avoid talking about my own, internal debates with others, it is not right to annoy others with debates playing ping pong inside my brain. It does not make the world a better place, and at best make enemies. 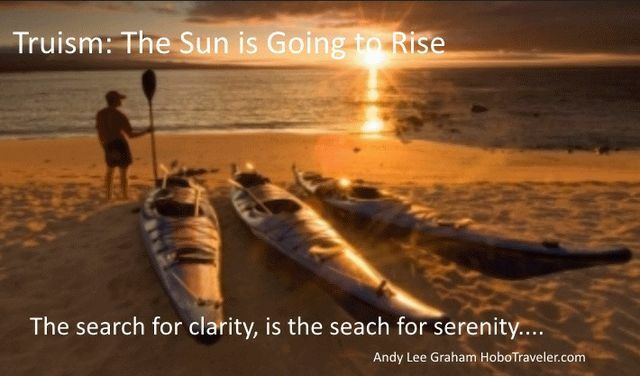 When something crystallizes, into clarity, a truism, that is not debatable, bringing forth ideas in small statements, truisms, trying to provoke clarity, this begets serenity that is the time to talk. I want to know, to learn, to understand, to have it unveiled to me: How to inspire people to search for truism, and stop getting involved in controversy? I will stop no point in annoying a friendly crowd. There are things self-evident, obvious, truisms we can seek, or we can be like a pimple full of pus, squirting out onto humanity our impurities.